One of the ugliest TV distribution fights in recent history is finally coming to an end after months of harsh rhetoric, complaints and legal battles. DISH and Univision Communications Inc., announced Wednesday a long-term agreement for Dish satellite networks (DISH and DishLATINO) to carry Univision networks and stations. Why it matters: Dish customers in areas across the United States that are heavily-populated with Hispanic-Americans were unable to access Univision, one of the largest Spanish-language broadcasters in the country, since June 2018. The companies agreed to settle all pending litigation between the two companies. Be smart: The agreement is particularly important, given how fragile the talks were for a while. Dish boss Charlie Ergen told analysts last August that the dispute between the two parties is "probably permanent." Between the lines: The fight between the two companies has grown ugly over the past year. 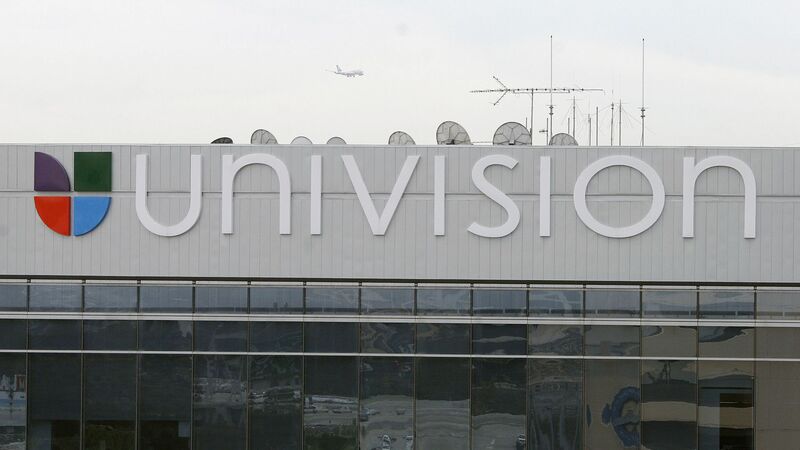 Latino advocacy groups mobilized aggressive public support campaigns on behalf of Univision, alleging that Dish was hurting their communities with the blackout fight. Univision filed a suit last summer with the U.S. District Court for the Southern District of New York asserting that Dish still owes the broadcaster millions in retransmission fees and interest. Univision had previously written to the heads of the FCC and FTC alleging that Dish has been deceptively marketing Univision programming as part of Dish's pay-TV services to consumers. The big picture: As Axios has previously noted, arguments like these happen all the time between pay-TV providers (cable and satellite companies) and TV networks (broadcast and cable companies). And in a tough economic environment for media, they're happening even more frequently than ever. HBO and Cinemax, two premium cable channels that are owned by AT&T, have gone dark for more than 10 million Dish Pay TV subscribers and 2.5 million Sling TV subscribers, a digital TV package owned by Dish. Why it matters: It's the first time HBO, which is considered a must-have premium channel for many consumers, has been blocked to customers over a distribution deal disagreement. The details: HBO says Dish cut the signal. Dish says HBO cut the signal. In reality, Dish physically cut the signal after it felt HBO was "making untenable demands" — asking for more money — from Dish to distribute its programming. HBO says Dish has been extremely difficult to negotiate with after "responding to our good faith attempts with unreasonable terms." But Dish argues that AT&T, which owns satellite provider DIRECTV, has a vested interest in stealing Dish's Pay TV subscribers and is choosing to not come to an agreement for that reason. Dish claims this will allow AT&T to lure Dish's subscribers to DIRECTV, where they'll access HBO. HBO disputes this, saying they need the widest distribution possible to survive. But Dish says that the fact that HBO's first-ever blackout is occurring while it's under the ownership of AT&T is telling. Between the lines: Dish has a record of using these types of negotiating tactics with TV networks. Dish boss Charlie Ergen has a reputation for being a tough negotiator when it comes to these types of agreements. He has in the past said that "real negotiating starts when we go dark." For example, Univision is currently pressing regulators to look into whether Dish has misled customers in marketing its services, despite the fact that Univision has been blacked out on Dish's network for months. The bigger picture: Dish blames the approval of AT&T's $85 billion takeover of HBO's parent company Time Warner for the move. It claims that no guidelines were put in place by the Justice Department to ensure that AT&T wouldn't leverage its exclusive ownership of HBO to demand more money from AT&T operators. But regulators essentially signaled that no guidelines are necessary in approving the merger because HBO has no market incentive to reduce distribution. The possibility of blackouts, however, was a massive issue during the months-long trial between AT&T/Time Warner and the Justice Department.